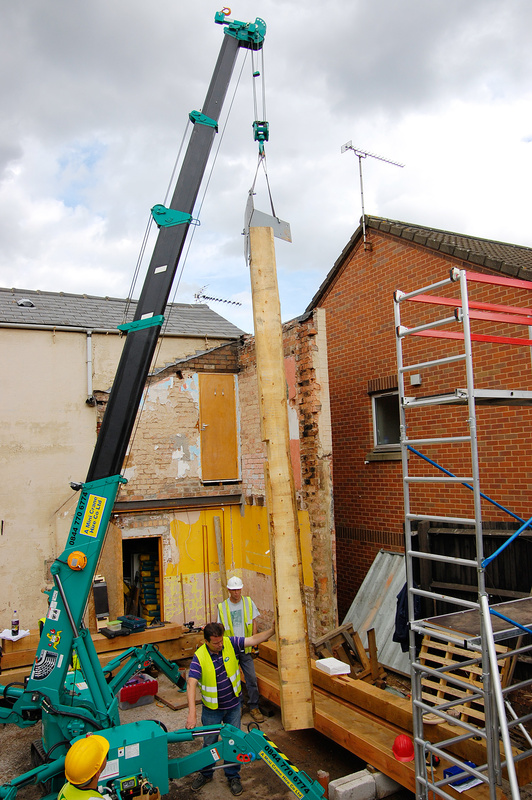 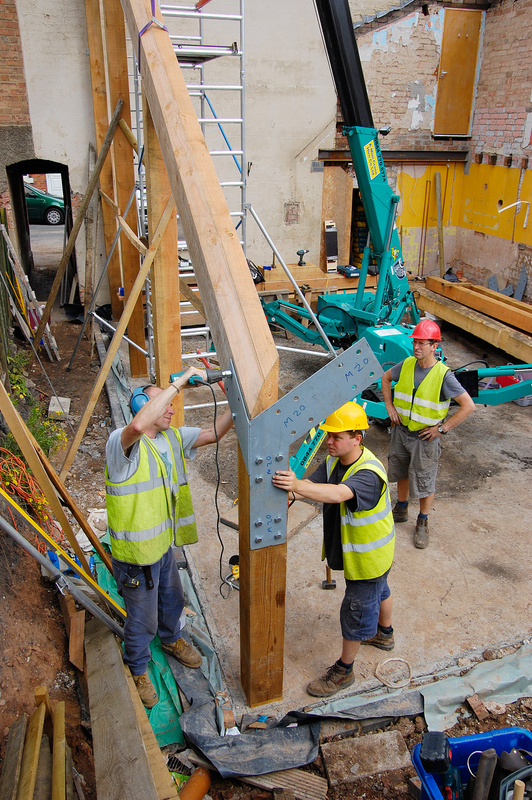 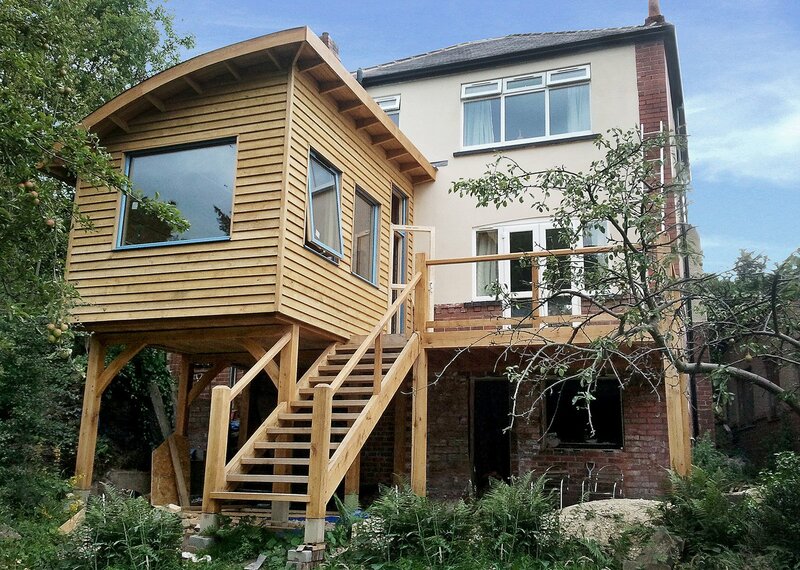 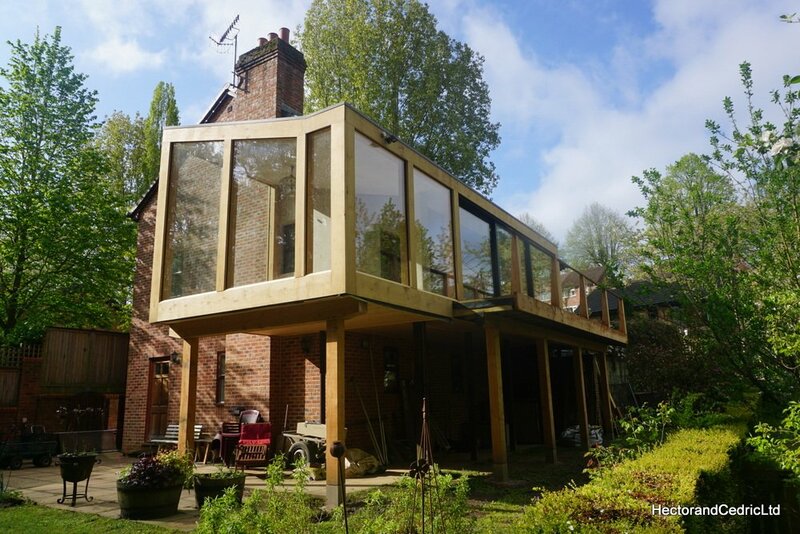 Hector and Cedric was commissioned to design, build and install a Douglas Fir Timber frame for a passive house self build in Derby. 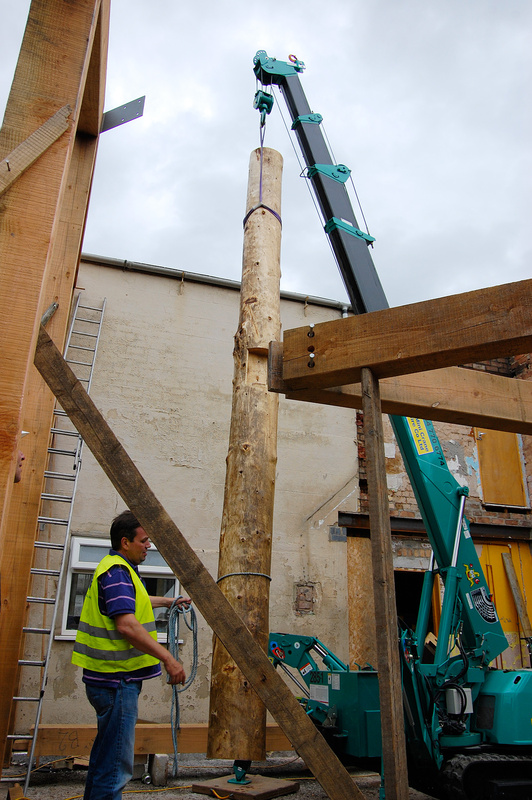 The frame was raised in quite a restricted area, with the use of a spider crane that only just fitted through the narrow passageway. 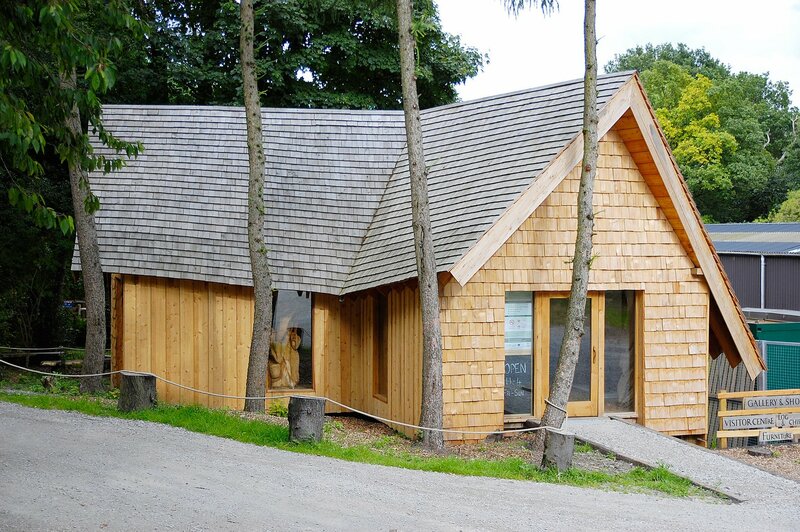 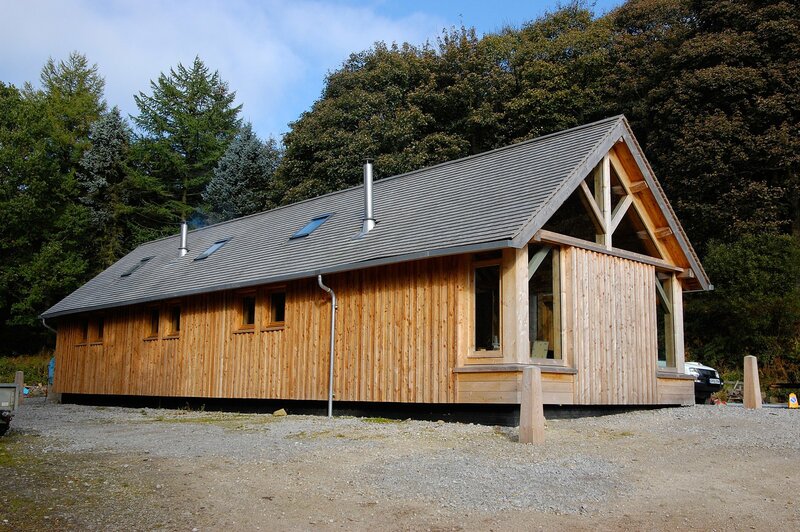 We went on to construct the floors and roof structure, leaving the building to be completed with straw-bale infill walls and a living green roof.